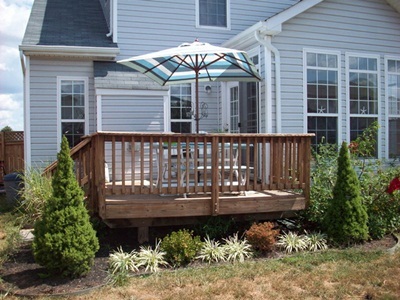 Perhaps this spring your home improvement project is going to be building a new deck. This is one that you will want to get started on as soon as the winter weather breaks. That way you will get the project finished sooner, which means you will get to enjoy your new deck all the faster. No doubt you have your deck plans in mind, but while doing this be sure to keep the security needs in mind. 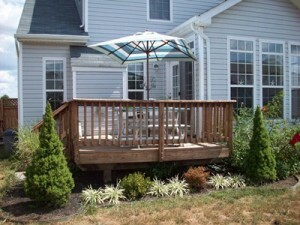 This way your new deck is not become a risk for you from a security point of view. Your deck may be a raised on or just an extension of your patio. It may be small addition to your home, or you may be going quite big. It will all depend on your wants and needs. We want you to consider any potential security issues that may arise throughout your project. Most people like to have sliding doors out to their decks, while some prefer french doors. Then there are others who don’t want to change their current door. If this is the case then your present security measures for this door should be fine. That is provided you have utilized good security measures already. Which means having frame work, a quality locking system and your security sensors attached to it from your system. If this isn’t the case, then now may be a really good time to beef up the security by implementing these. If you are wanting to install sliding doors don’t let security issues stop you. There is lots that you can do to make these doors safe. If you are buying new doors then the locking mechanism on it should be in good working order. Sometimes people like to save a bit and will buy the doors second hand. In this case you want to be sure the lock is working. If you put it in the locked position and the doors gives a little then it may not be working properly. There are several different sliding door security products that you can utilize. The same applies to french doors. If this is what you want then go for it. You just need to keep a few safety measures in mind. These are hinged doors so you want the screws holding them in place to be at least three inches long which allows for better security to the door frame. Three point locking mechanisms are going to give you some excellent security. You can have a dead bolt at the top, at the bottom and a quality locking system mid way. Set one of the doors up with a permanent lock, will make it more difficult for an intruder to force the door open. The glass in the french doors is a concern as well just like it is in any door that has this feature. Hurricane rated glass adds extra protection. 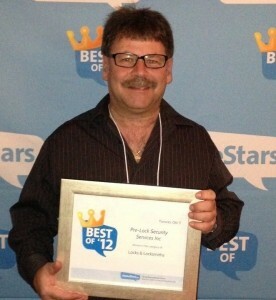 This entry was posted in Toronto Alarm Systems and tagged basic home deck security. Bookmark the permalink.